It is easy to forget about the effect that cleaning products can have on your pets. As of 2011, the Pet Poison Helpline ranked household cleaning products as the sixth most toxic for dogs. Lysol and Pine-Sol are among the worst products for pets, as they are phenol-based. These phenol-based disinfectants are toxic to dogs and cats, and can even be deadly to cats as they are especially sensitive and small amounts can be absorbed through the skin. DIY or non-toxic cleaners are great alternatives to keep your home clean and smelling fresh while your pets remain healthy. 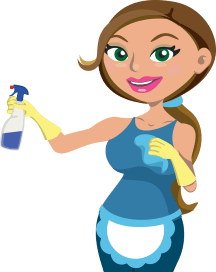 The following five products are greatly effective to disinfect and clean all areas of your house while also being safe for your pets. 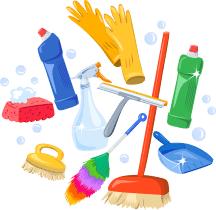 Whether you need a multi-surface disinfectant, a stain remover, a floor cleaner, or an effective but safe bathroom cleaner, these five products will be great to clean your house while keeping anyone living in your home safe from toxic chemicals. 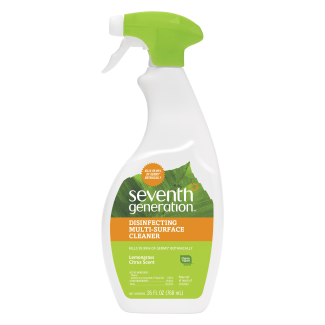 Seventh Generation’s products are all EPA registered and made with essential oils. This means it kills 99.99% of household germs while smelling great. This product can be used on most surfaces around your home, including countertops, appliances, children’s toys, changing tables, and more. Simple Solution uses sustainable and renewable ingredients in this cleaner, which makes it environmentally friendly and biodegradable. 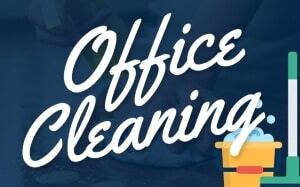 This cleaner uses beneficial bacteria and enzymes in its formula to clean any urine, feces, and vomit stains and odors. The remover also has a refreshing spring breeze scent to neutralize and mask any odors. 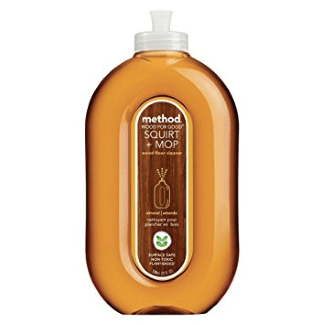 Method is pet and allergen-friendly, vegan, and a cruelty-free company. 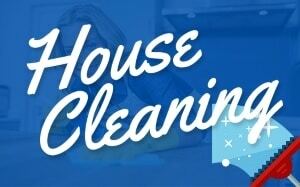 This specific floor cleaner is wax-free, non-toxic, biodegradable, and shines your wood floors. Not to mention its great almond-scent, leaving your home and floors smelling delightful. Sometimes there’s a mess that only bleach can fix. This bleach is unscented, color safe, contains no chlorine, and is biodegradable. 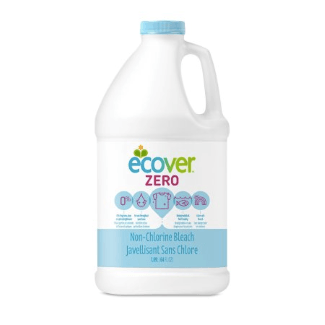 Ecover’s bleach is safe to use on sinks, tiles, toilets, showers, and tubs. Even better, the bottle, label, and cap are 100% recyclable! 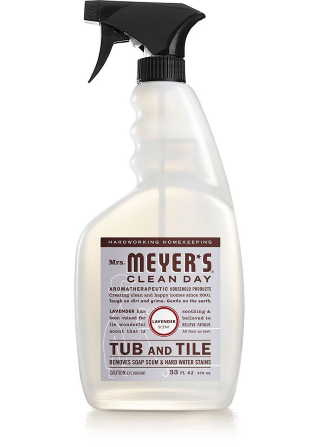 Mrs. Meyers Clean Day products are all based on aromatherapy. This product comes in two great scents—Lavender and Lemon Verbena. All products are free of ammonia, chlorine, bleach, parabens, phthalates, and phosphates. This Tub and Tile Cleaner is for use on shower doors, tiles, toilet seats, porcelain, countertops, sinks, and tubs. If you want to skip the store-bought stuff and make your own DIY cleaner, free of any chemicals at all, create your own easy vinegar-base cleaner. Just combine distilled white vinegar with water and add a few drops of essential oil, such as lavender or lemon. Depending on the potency of the cleaner you want, put a 1:3 or 1:4 vinegar to water ratio. 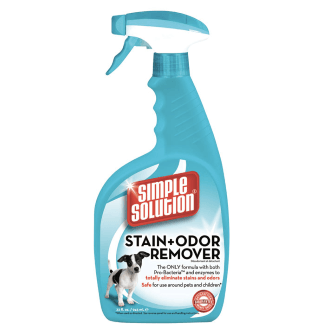 This cleaning solution is guaranteed to be safe for any pets or small children. 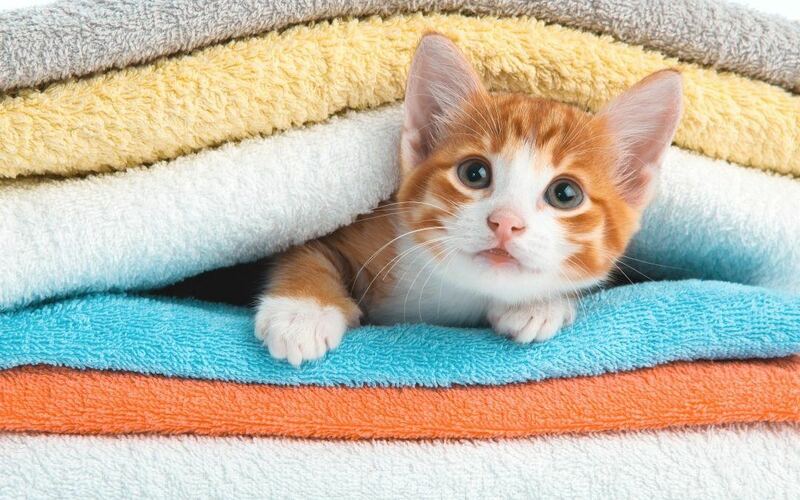 Cleaning products with toxic chemicals are very hazardous to the health of your pets. Using products like these is a small step to make sure the products you’re using are safe for your beloved pets.